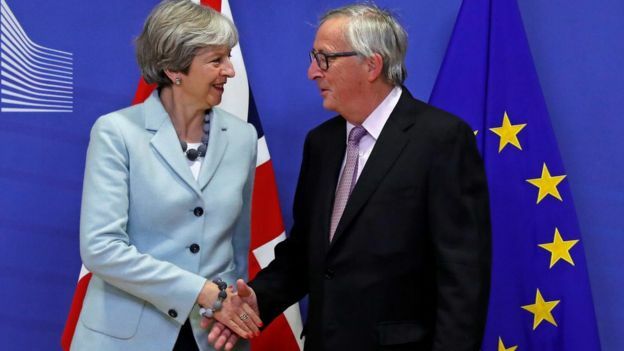 Jean-Claude Juncker, the head of the European Commission, said the chance of the UK and the EU reaching a deal has increased in the last few days and could be agreed by November this year. The UK is due to leave the EU on 29 March 2019, but there is still no agreement on some issues, including how to avoid new checks on the Irish Border. Both sides had hoped to finalise the so-called divorce agreement and agree on a statement on their future economic co-operation by an EU summit in 11 day's time. Speaking to the Austrian press on Friday, Mr. Juncker said he was not sure an agreement could be reached by October. Asked whether an agreement could be reached at the next meeting of European leaders on 17 October, Mr. Juncker said: "We are not that far yet. But our will is unbroken to reach an agreement with the British government." "I have reason to think that the rapprochement potential between both sides has increased in recent days," Mr. Juncker added.